The Revival Assembly Church of Nigerian founder pastor Anselm Madubuko has finally revealed how he fell in love with his wife Emmy Kosgei. 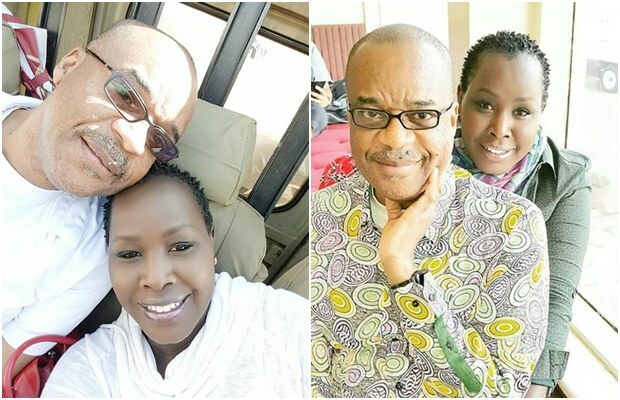 During a recent interview with a Nigerian newspaper Sunday Punch the pastor also talked of how he wasn't sure about remarrying after his late wife's death, plus how some of his church members left the church after he married Emmy Kosgei. "I meet my present wife at a conference in Mombasa, Kenya. She came to sing while I was there to preach. Before my first wife passed away, we were supposed to hold our annual conference and she specifically asked me to invite Emmy to minister. She also asked me to invite her and her team for lunch in our home. Unfortunately , she did not live to see that happen. I did not know she would die when she did. I did not have any relationship with my present wife until my late wife passed away," Anselm explained. "After my wife died, I did not want to marry again because I did not know where or how to start looking for a wife after over 20 years in marriage. But God had other plans . I was thinking of what next to do when God suddenly dropped it in my spirit that Emmy would become my wife. But, I did not know how it would happen because we were not romantically involved. She told me about her relationship and I counselled her. I kept it to myself. But, all over sudden, people close to me , including my son , began telling me that they foresaw me marrying, Ololo, which is what they called her. so, I picked up the phone, called her and told her I would marry her but she declined." He continued, "While people advised me to wait for five years or more, God asked me how many years it would take to forget about my late wife . But, I realised that ten years would not make any difference trying to forget someone whom you had spent over 20 years of your life with . For my sake, He asked me to marry again. I did and it was and still is a wonderful experience. I found love again and I have no regrets. "She is real and for the two years that we have been married we have never had any misunderstanding." He concluded, "She was and still is accepted and loved by everyone. we did not need to convice anyone, but some women in church thought i should have married them instead. they felt they could tell me how to lead my life. many people left the church after I married her. It was terrible experience but I thank God that I did not miss it."